Coleman, Peter J. The Transformation of Rhode Island, 1790-1860. Greenwood Press (CT), 1985. Conley, Patrick T. Democracy in Decline: Rhode Island’s Constitutional Development, 1776-1841. Rhode Island Publications Soc, 1977. ———. “Substantial Reforms Could Result from a Constitutional Convention.” Providence Journal, 1984 Nov 02 1984, A-21. Conley, Patrick T., and Robert G. Flanders. 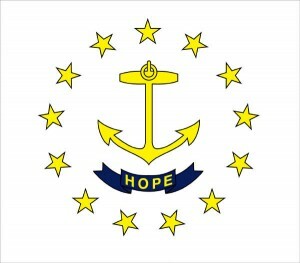 The Rhode Island State Constitution: A Reference Guide. Vol. 44: Greenwood Publishing Group, 2007. Cornwell, Elmer E., Jay S. Goodman, and Wayne R. Swanson. Constitutional Conventions: The Politics of Revision. New York: National Municipal League, 1974. ———. State Constitutional Conventions. Praeger, 1975. Dennison, George M. The Dorr War: Republicanism on Trial, 1831-1861. University Press of Kentucky Lexington, 1976. McLoughlin, William G. Rhode Island: A Bicentennial History. WW Norton, 1978. Raven, Rory. The Dorr War: Treason, Rebellion & the Fight for Reform in Rhode Island. The History Press, 2010. “Rhode Islanders’ Opportunity of the Decade.” Providence Journal, 1985 Jul 22 1985, A-10. Marcelo, Philip, Thomas Dorr statue to be unveiled Tuesday at State House, The Providence Journal, January 6, 2014. Leubsdorf, Ben, Top Populist Revolt: Dorr Rebellion; Shoddy cannons didn’t deter franchise fighters in 1842, The Brown Daily Herald, March 10, 2008.